Looking around your local cosmetic store or supermarket, there is a wide variety of different face moisturizers. All of them usually promising deeply hydrated, younger looking skin (often at a significant price). But look a little closer at the ingredients list and the petrochemical derived additives like propylene glycol, cyclomethicone, petrolatum and methylparaben may not sound so appealing. In fact, many of these chemicals are actually known skin irritants, but manufacturers still include them in their formulations to improve shelf life or maintain consistency. What if there was a natural oil moisturizer for your face that many people, myself included, are having more far more effective results with than the chemical-laden, brand name moisturizers? What if this very same moisturizer was also about the best cooking oil you could use in your kitchen, made an extremely healthy salad dressing and even an exceptional hair treatment? It sounds too good to be true, but this special cold pressed and unrefined avocado oil I use is all of these things. This page will look at how to apply avocado oil as a moisturizer and save money on chemical laden cosmetics. Cold pressed avocado oil is one of the richest sources of beneficial monounsaturated fatty acids like oleic acid. These fats are a great addition to your diet but can also have an immediate effect on the texture and appearance of your skin. Not only is avocado oil extremely good at hydrating and softening your skin, is it also often recommended as an effective treatment for acne and blackheads, eczema and other forms of skin inflammation. It has even been reported a beneficial for diminishing age spots and smoothing out fine lines and wrinkles. Of course it’s important to remember that individual results usually vary greatly depending on your skin type and other factors like good internal nutrition. That said, if your skin is at all sensitive or problematic, it’s highly beneficial to have one simple, natural oil to use as a face moisturizer, rather than trying to work out which of two dozen different chemicals might be causing your skin problems. In the worse case, if using avocado oil on your face doesn’t work as well for you as it has for others, you’ve still got it for cooking, as a salad dressing or for hair treatment. Personally, since using this extra virgin avocado oil as a moisturizer, in the way I’ll describe ahead, I’ve noticed significant improvements. The skin on my face appears much softer, with a real lessening of the lines on my forehead. Initially I was worried that using it on my face would make it appear greasy, but after it has been absorbed, it’s actually the opposite. It seems my skin is so well hydrated after using avocado oil that it doesn’t need to produce the excess oil that it used to. Perhaps even more significantly, the pores on my nose and upper cheeks appear visibly reduced and an occasional slight facial redness also appears lessened. My skin wasn’t terrible before by any means (aren’t we always our own worst critics). Avocado oil just seems to have made it much better. The previous page on cold pressed avocado oil skin benefits has the reasons why it is so effective. You can apply avocado oil to your face in the same way you would any other moisturizer – with a cotton wool pad or very clean fingers. Make sure your face is washed well and preferably still damp to spread the oil easily. I use it straight after showering or washing my face in the evening. You don’t need that much, perhaps a small dab on each cheek and on the forehead. Avocado oil is very concentrated monounsaturated fatty acids, phytosterols, vitamin E and other antioxidants. A little goes a long way. While it is not absorbed as quickly as some moisturizers, it is usually barely noticeable in ten to fifteen minutes. If this bothers you, give it a few minutes to be absorbed, then gently wipe your face with a damp washcloth. You could use it as a day moisturizer (and I often do on days off when I’m not rushing out the door to work), but because it’s so rich, it seems better as a nightly facial moisturizer applied before bed. Some people recommend mixing half cold pressed avocado oil and half sweet almond oil, which is also very beneficial for the skin. Almond oil takes longer to absorb though, so you may want to keep this as an evening moisturizer and use a damp washcloth on your face before your head hits the pillow. I’d be interested to hear from anyone who has tried this or any other avocado oil combinations as a face moisturizer in the comments below. It is important to look for cold pressed and unrefined avocado oil, and not the cheaper refined oils, if you’re interested in the potential skin restorative properties, rather than just the moisturizing effects. The minimal refinement of cold pressed avocado oil preserves much more of the important plant sterols, chlorophyll, vitamin E and other antioxidants. You can also use it as a salad dressing or other recipe addition to get some good internal skin nutrition. The page on finding avocado oil online has the all of the best options I’ve found. Avocado oil may also be a useful treatment for skin problems like acne and blackheads and even more serious conditions such as psoriasis and eczema. Also ahead in 3 Ways to Use Avocado Oil for Acne Problems is a special oil cleaning method. This is another great way to moisturize your face with avocado oil at the same time as clearing up many skin problems. Thanks for your help with the translation! I use avo oil in my home made sugar scrubs – equal parts sugar and avo oil. Brilliant results. I’m an actress in my late twenties but being short, my career has been made playing children mostly. I maintain my skin with avo oil and am frequently mistaken for eighteen. I’ve always looked young, but I was starting to get fine lines and freaking out a little as looking older right now would kill my career (more so than most actresses). Avocado oil has made a huge difference. I also cook with it, equal parts avo and coconut instead of olive oil, and the taste is sooooo much better. And I massage it into my scalp once or twice a week, the night before I wash (with apple cider vinegar and bicarb, not shampoo) and I found my scalp produces less oil because of it and I can last longer between washes. Hi Erica. It sounds like we both use avocado oil for similar things. I also use it with the oil cleaning method for my skin, as a hair treatment and to cook with as it has a much higher smoking point than olive oil. It looks like it’s working well for you too. I was using organic coconut oil for a face moisturizer and it does not work as well as avocado oil . I have really dry skin and the avocado oil seems to hydrate better then a lot of skin care products on the market and I have tried many. And I still use and love coconut oil for cooking and for my hair. I agree with your opinion. Organic skin care Products always more effective results better than any chemical or synthetic Products. It is wonderfully moisturising for dry skin.It is a heavier/richer feeling oil on the skin than some other oils.I mix 10 mls avo oil with 3 drops frankincense essential oil for the face & 10 mls avo oil with 6 drops frankincense essential oil for the body as I have dry skin & wrinkles.Avocado is good for dryness & frankincense is good for ageing skin.Both these oils combined makes skin look younger and feel deeply hydrated.I have never used avo oil without adding essential oil as well. Avocado oil and frankincense oil does sound like a good mix for the skin. I’ve recently switched over to avocado oil from coconut oil as a face moisturizer in hopes that I would solve the following issue: after washing my face I apply the oil onto my face with clean fingers and while the oil is sitting there trying to absorb I can feel my skin tightening and getting dry and scaly with the oil right on top of my face! This has happened with coconut oil and it is happening with avocado oil as well. I have to say that I do not have dry skin, throughout the day I get extremely oily so I don’t understand why this happens. Can you please help me? I generally find coconut oil better for hair but I’ve always found avocado oil good for skin moisturization. Many other people recommend it as well. Avocado oil works perfectly on my skin. I apply it at night before bedtime… But of course after washing my face thoroughly. I can feel the big difference after using it for a week. I also use it on my entire body and i think it helps to firm my saggy skin. I also love how it works on my feet…i use it as a massage oil… Avocado oil is my beauty wonder! I also use lemon and baking powder as a face mask 2x a week… It helps get rid of my brown spots. Please can I mix avocado oil and carrot oil together and use on my skin? Avocado oil and carrot oil should be a healthy combination for your skin. Malwina, it sounds like your skin is too dry, even though it may not seem that way. When our skin is too dry, it over-produces oil. You might consider changing your cleanser. I’m even starting the oil cleansing method with castor and avocado. I believe there is a link to it in this article. can someone please tell me what type of brand avocado oil works for face moisturization? I have tried essensu avocado oil it was thick, dark green & didn’t do much. I have tried the olde shoppe avocado oil (supposed to be for face & body) in a small one ounce container and I did not like it – the same for a Sonoma brand avocado oil in a one ounce dropper. I also tried dr. Adorables avocado oil (often the cheapest type on ebay) I got the yellow version, and also did not like it. I was hoping the oil would be somewhat silky and seep into my skin, leaving it moisturized, even if I only use two quarters worth for my entire face. Instead, many of the oils I have used have left my face feeling matte. I also am aware, that avocado oil color can range from yellow, to yellow-green, to fairly green to dark green. If anyone has any advise as to what type of avocado oil they use on their face & where I may find it, this would be of great help to me. Thanks! I have always loved to choose the ”natural” solution to a problem. I am definitely going to try Avocado oil as a moisturiser. My skin tend to mature easily with quite deep wrinkles at the age of 48 already. Will the use of avocado oil slow this process down and even soften the prominent lines? What is a good natural cleanser to use before applying the avocado oil? How about a toner? What would you suggest? I have used avocado oil as a moisturizer for over a year and my skin looks great! As a former Estee lauder consultant, I have tried all the expensive products out there and avocado oil is the best. It has reduced fine lines by 50-70%. I now make my own body lotions and scrubs using natural ingredients. I use avocado oil for my nails, hair,feet, cooking and I am 40 years old and I also use coconut oil for my skin because it has other benefits that avocado oil don’t have but avocado oi and coconut oil are both good choices for face and skin and hair and health period! Thanks for the tips everyone I agree with everyone with there tips. I like apple cider vinegar diluted 1:1 with water as a cleanser/toner before avocado oil, which should also help with wrinkles. Hi Carla and thanks for your comments. I doubt your former employer would appreciate people knowing how well natural treatments work though! I’m doing an extensive study on oils at the moment, for skin care, and also the benefits it brings to us as a whole. To cut everything I’m learning short; the fatty acid makeup of the different oils is very important, and should have a lot of part to play in your decisions in regarding to your skin type, sometimes mixing a few different oils is a very good option for choosing which nutrients your skin needs most. Linoleic, Linolenic, Oleic fatty acids are some of the more important ones to look at. Avocado oil is one of my favourites, and I mix it with Emu oil, which is very potent at keeping the skin healthy, stopping scarring formation, very easily absorbable, and extremely anti-inflammatory, I also like to mix with castor bean oil, or sometimes Hazelnut oil, which is very rich in vitamins, fatty acids, and is mildly astringent which is good for oily skin types, and helping to maintain skin elasticity, and keeping acne under control. Thanks for your comments Terilee. I agree that emu oil, castor oil and hazelnut oil are all very beneficial. Natural oils really are a lot more beneficial than expensive face creams. Can avocado oil be mixed with coconut oil? I am using coconut + sweet almond oil as my evening moisturizer. Seems avocado oil is better in solving wrinkle problem? Yes they can. There are different beneficial fatty acids in each. You could try an avocado oil and sweet almond oil combination as well and see what works best for your skin. Sorry to hear it hasn’t worked well for you. I have the opposite results with avocado oil and rosehip oil is well known as a treatment for dry skin, not usually a cause of it. All I can think is possibly a reaction to one or both of these. Jojoba oil is often recommended and even coconut oil for very dry skin. It’s also often suggested to apply a small amount of hyaluronic acid like this https://superfoodprofiles.com/go/hyaluronic-acid-serum over the top of the natural oil to seal it in. I have been suffering for sometime with very dry flaky skin which also felt very tight. I’d bought and tried dozens of creams and lotions to to which none worked and often irritated further leaving a burning sensation. I came across an article about the benefits of flaxseed oil and advocado oil, and since then I have been using them combined on an evening, although a little greasy at first my face immediately felt hydrated and my skin soaked up the oil. My skin no longer feels tight and I no longer wake up with flaky skin. I mix a little advocado oil to my normal moisturiser for a morning treat. I have just bought some oil dropper bottles so that I can mix the two oils and have them already mixed. After reading this article I will definitely try the sweet almond oil as I think this will smell lovely as well as having fantastic benefits. I’m so happy I’ve found something that finally works!!! I recently started using avocado oil on my face at night, 2 drops applied to the drier areas and then spread a bit further on my face (applied after 2 serums). I’ve used other oils in the past (also 2 drops) on top of the serums (argan oil, maracuja oil…). The avocado oil seems to sit on my skin for a long time. It’s still there when my head hits the pillow. Then my avocado oil-y face hits the pillow! Is this typical? The other oils I’ve used have absorbed into my skin more quickly. Hi Jenny Lee and thank you for your positive comments. I’m glad avocado oil worked so well for dry skin for you. I and others I’ve read about generally apply avocado oil directly to still damp skin and it is usually well absorbed in 10 – 15 minutes. Perhaps applying it after the serums is preventing it being absorbed properly and it might work better applied before. Unfortunately everyone’s skin has different reactions to natural oils. I’d say about three quarters of the comments I receive on avocado oil as a moisturiser find it beneficial but roughly one quarter find it doesn’t work as well for them. I am 21 and have hormonal mild acne with humongous large pores. I picked up cold pressed extra virgin avocado oil today and am trying it for the first time. I am a bit concerned that it might enlarge my pore. Do you recommend it for someone with my skin type? Also i have ordered rosehip seed oil yesterday (I just discovered the world of wonderful oils) is it okay to mix avocado and rosehip seed oil together for a night moisturiser? Using avocado oil with the oil cleaning method described here https://superfoodprofiles.com/ways-avocado-oil-acne-problems can help to reduce enlarged pores and acne over time and normalize oil secretions. Rosehip seed oil is a good combination with avocado oil for most people, though with either there may be an initial breakout which should clear up once your skin adjusts. I used a whole,bottle of cold pressed avocado oil over 6 months and it was lovely. Skin softer and its,a lovely glow to your skin. Going to get another bottle. I knew,avocados have Co enzyme 10 and is antiinflammatory so it makes sense. Hi Georgia and thank you for your positive comments. I’m glad to hear avocado oil is working so well for your skin. I hope more people will try it over commercial petroleum based cosmetics. I’ve made my own lotion with coconut oil and olive oil. I add beeswax pellets to create more of a butter. I just heard about using avocado oil. Any suggestions on a recipe that would include the beeswax? Great article and very true. I have combination skin, with dry patches on my chin, creases on the side of my nose and area where i pluck in -between my eyebrows. I use retinol and maderma to combat my acne and acne scars and as a result, it has left my skin very dry. I recently bought clarins hydraquench but my skin was still very dry and dehydrated. I decided to turn to something more natural to soothe my dry skin. I had purchased cold pressed avocado oil that i used in my hair and it worked wonders. I figured i would also try it on my face. It worked incredible! No breakout yet, used for two days and my skin is so hydrated and soft. I will continie this natural regimen. Definitely worth the try!!! Hi Zory and thanks for your comments. I’m glad to hear avocado oil is working so well for you. It’s actually very difficult for petro-cosmetics with their long shelf life stabilizers to match the potency of natural skin care like avocado oil. I haven’t personally used beeswax pellets but avocado oil and olive oil go well together so you could use the same recipe and replace coconut oil with avocado oil. I have the avocado oil mentioned in one of your links (la Tourangelle) but instead of saying “cold pressed” it says “expeller pressed”. Is this still as beneficial for the skin as the “cold pressed”? What are you using to cleanse your face? I’ve discovered all cleansers are not created equal. Also, try consuming one tablespoon of avocado, coconut, or olive oil daily. Consuming coconut or olive oil as a salad dressing has improved my skin from the inside out and is healing the two eczema flares that recently surfaced. 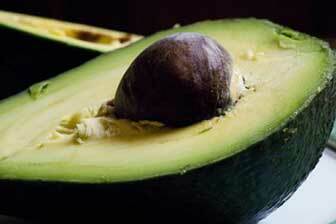 It’s great to hear that avocado oil is working so well for your skin. I intend to be using it for the long term myself too as it is so much better than commercial skin products for the complexion. Hi Michelle and thank you for your positive comments. It’s great to hear avocado oil is working so well for your skin. Sorry, you probably wrote that ages ago, but I have had similar results with avocado and rosehip. Avocado never sunk in and scaled my skin right away, even when it wasn’t dry. Pai Rosehip was amazing the first time I used it. It seemed to slough off dead skin and left my skin so smooth. However, after that first time, it never sank in again. Did you ever find out why the oils didn’t work for your skin? Or find something that does work amazingly? Hyaluronic acid serum applied before any oil on the face is recommended since the serum is a humectant and draws in moisture. The avocado oil put on last acts as a barrier to seal in that moisture. I learned this recently from doing a bit of research on skincare. Works for me, I make my own hyaluronic acid serum, which I apply first and the final step is a homemade facial moisturizer using avocado oil as the main ingredient. Been doing this for about two years and the results are amazing. My skin tone is even and I no longer have dry skin, fine lines have disappeared. I do think I will try using apple cider vinegar as a toner like you suggest. I currently use a rose petal witch hazel and love it. But the cider vinegar is much easier to find here locally. All the products I use are organic, and the avocado oil is cold pressed nonGMO, etc. bought at the supermarket or Walmart. This oil is great as a facial cleanser, and massaged into the scalp prior to shampooing my hair. Thanks for the great article! It’s also fantastic when mixed with aloe Vera gel! I use it for anything-as a body , face and even eyelid moisturiser! Love avocado oil! Thanks for the tip Cate. I tend to alternate the two but can see the benefits of using both together. Will try this tonight. Definitely agree on the benefits of using natural products like avocado oil. Thanks for the helpful tips Tatiana. I agree avocado oil is great for the skin. I absolutely agree with everything you said. For me avocado oil has been a miracle product that has made my skin soft and brighter, while visibly reducing fine lines. I find that it works best as a night moisturizer for me. So when I wake up, there’s very little I have to do through the day. A sunscreen or whatever else I have on hand works beautifully. I have been using avocado oil on my face,and my eyes..Loved it at first..Then I started peeling..Any advice on that? That’s unusual. It seems your skin’s moisture balance was affected. Perhaps using it less regularly, like just once or twice a week, might give better results. I just found this lovely avocado oil at my grocery store. I’m wondering if it is a good carrier oil. I have a thyme plant I thought of extracting the oil from the thyme and using the avacado oil as a carrier.Any thoughts or knowledge on this? Yes avocado oil is an excellent carrier oil with the added benefit of being able to be used in cooking as long as the extracted oil like thyme is also suitable. I’m at the store looking for avacadoo oil and is there a major difference between cold pressed and expeller pressed avacado oil? Do they essentially do the same job? Thank you. Expeller pressed can involve some heat, which is something you want to avoid with more fragile oils like flaxseed and pumpkin seed oil. Avocado oil is more heat stable to it would be fine for basic cosmetic use. Unrefined cold pressed avocado oil does have an extra advantage of containing more skin beneficial antioxidants though, which are generally processed out of cheaper more refined avocado oil with the clearer color. I’d try with a third of each, though avocado oil has a similar but better fatty acid profile to olive oil so you could try half avo oil and half rice bran oil if you like. Hi Carla, I’d be interested in some of your body lotions and scrubs recipes! I have been using Avocado Oil for about 4 months and my skin is visible younger looking and we’ll balanced with moisture, I use it every night as a moisterizer before bed. I pay close attention to my cheeks as well as the corners of my eyes, it gives me a well hydrated glow in the morning with a more youthful appearance. I just started using Avocado oil in a mix that I have been using for a while. Sesame Oil and Jojoba oil. I tried other oils. But I think I’m sticking with the Avocado oil. Their really is a difference in my appearance, my skin is a lot softer. And just to add, both the Sesame and Avocado Oils have natural sun screen properties in them. That got me started and they work well together! A skin saver! (and a psyche saver too!) Whew! Tried a very pricey eye cream recently–just wanted something to moisturize and permit eye shadow to go on smoothly and stay on without creasing , but fell for a sales pitch for a multi function product that ultimately burned the skin around my eyes, caused a good deal of lash loss, and left my skin and eyes looking like those of an elderly person- loose, saggy, badly wrinkled upper and lower lids, sunken, bloodshot, lashless eyes To say it scared me is an understatement and I was sure I was headed to a cosmetic surgeon to repair this. I began applying a generous coating of avocado oil every hour. It immediately relieved the itching and burning, soothed my irritated skin and now 3 days after my last application of the irritant, and two days after starting avocado oil, the skin around my eyes is returning to normal and as an added bonus-the rest of my face looks better than it has in a long time. Lip lines are less obvious, skin is soft and smooth. Found your sight by searching “avocado skin care thinking I might find a cosmetic line incorporating avocado.I guess simple is best- cold pressed organic avocado oil straight from the bottle, my new skin care go-to. Thank you. Can’t thank you enough for all this information. At a time where my face flared up completely- and turned into a dry, flaky mess- I’m glad I came across this article and went to my local grocery store to buy cold-pressed avocado oil. My face doesn’t feel tight anymore, and the dryness has diminished greatly. I found coconut oil to still leave my face feeling tight and dry, and with avocado oil that isn’t the case! Hello, would it be okay to wash avocado oil off with warm water after leaving it on your face for 15 min? Or would it damage/hurt my skin? Just curious since I’ve been using this method, thank you! Yes this is fine. The oil would have penetrated by then. Hi Kayla and thanks for your positive comments. Many people find avocado oil with it’s monounsaturated fats great for skin care and more effective than coconut oil. Hi Emjay and thanks for your positive comments. Glad to hear natural avocado oil is working so well for you. More people should hear that it really is better than petrochemical cosmetics. This sounds like a good skin blend and I’m glad to hear it’s working well for you. I’m glad to hear avocado oil is working so well for your skin. I have a very dry skin that is always irritated and had that reddish inflammation look. I have used tons of things and nothing really works. I discovered mixing Shea butter and avocado oil together and used them as a night moisturizer and it works really good and gave me amazing results that I have never seen whith anything else. how do you make your own hyaluronic acid serum? would really appreciate a reply. thanks in advance! !